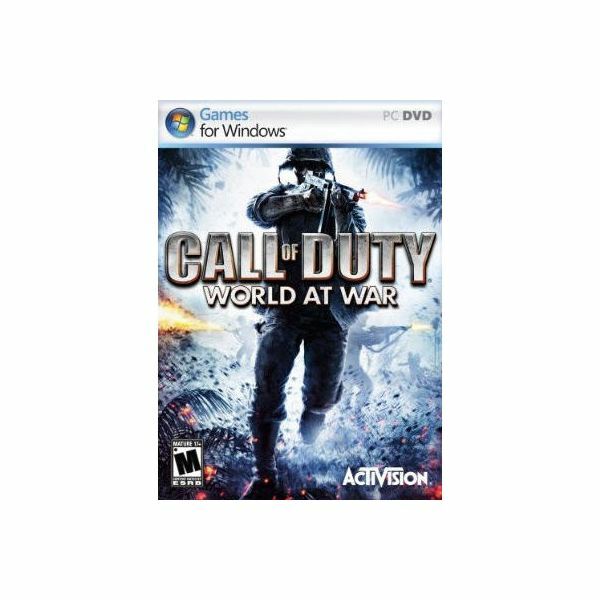 Call of Duty: World at War, also known as Call of Duty 5, has the potential to be a good game. I don’t think it is quite as good as Call of Duty 4, but still quite fun. The problem is that right now this game is buggy as hell. If the people behind it don’t put out some kind of update or patch soon, this game is going to tank big time. With console gaming steadily growing, PC gamers have very little tolerance for buggy games. Just look at what happened with Hellgate London. It was already in the bargain bin by the time all the kinks were worked out. Right now, two main errors are preventing people from playing this game online. A Google search for ‘Call of Duty 5’ and the error ‘Can not connect to online service’ yields over 119,000 results. That’s pretty amazing for a game that has only been out for a few weeks. Furthermore, a Google search of ‘Call of Duty 5’ and ‘Server authentication error’ yields over 19,000 results. Needless to say, lots of people are having problems playing CoD5 online and they’re talking about it in various message boards all over the web. I wrote this article to help other gamers get their CoD5 working. It took me two days to work all this stuff out, and I’m not real happy about having to do so after spending $49.95 on this game at Steam.com. Suggestion #1: The quick fix for when you get this error is to quit the game, then reload it. I’ve read that there are some server problems with the developer and that causes the error to come up way too often. Suggestion #2: On my own PC, the culprit behind this error was Comodo Firewall. Even though I had designated this game’s executable as a trusted application, Comodo still didn’t like something about the way it tried to connect online. I had to completely uninstall Comodo before I could get CoD5 to play online, because simply exiting the program wasn’t enough. Now I am just using Windows Vista’s built-in firewall and it works fine. Suggestion #3: Activision addresses this error on their support site by saying that you need to make sure you have port forwarding enabled on your router, and it gives some specific TCP and UDP port numbers. I am playing this game through a wireless router and didn’t have to do anything extra on my router to make it work, but you could always try if nothing else helps. Consult the documentation for your router if you need help getting into it to make changes. The Call of Duty 5: World at War Server Authentication Error is at least easy to fix, but it is a royal pain. After you click ‘Find Games’ to get a list of servers, most people will click ‘Refresh List‘ to update the server list in order to see how many people are on them, what map they are using, and so on. The problem is that after you refresh the view, this game throws that Server Authentication Error. It really makes no sense at all. To get around the error, all you have to do is load up the game, click Refresh List to update the servers, then quit the game and reload. This time, just join a server without refreshing the list. Everything you need to know about playing Call of Duty 5: World at War online. Call of Duty: World at War: Final Fronts Review – Is this a worthy use of the Call of Duty title?